Alfred Nobel had an active interest in all areas of research, including medicine. In his will, he set for the Prize to be awarded each year for scientific excellence in five major fields of study: Physics, Chemistry, Physiology or Medicine, and Economic Sciences. The Physiology and Medicine part of the Nobel prize is awardied by the Nobel Assembly at Karolinska Institutet in Stockholm, Sweden, for discovery of major importance in life science or medicine. Discoveries that have changed the scientific paradigm and are of great benefit for mankind are awarded the prize, whereas life time achievements or scientific leadership cannot be considered for the Nobel Prize. 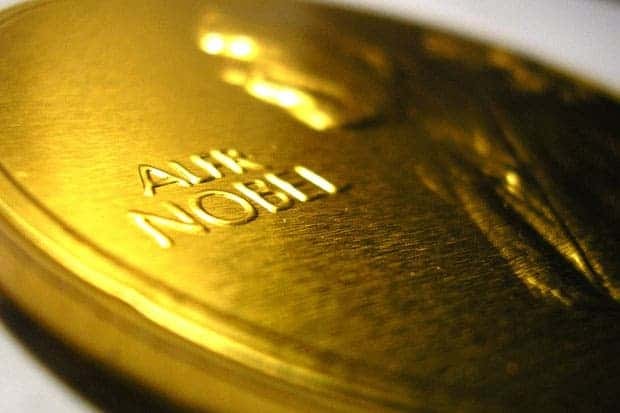 A total of 327 scientists have been nominated for the 2015 Nobel Prize in Physiology or Medicine, among who 57 individuals were nominated for the first time. This year it was claimed by the guys studying the bugs, for research into the treatment of roundworm parasite infections and Malaria. 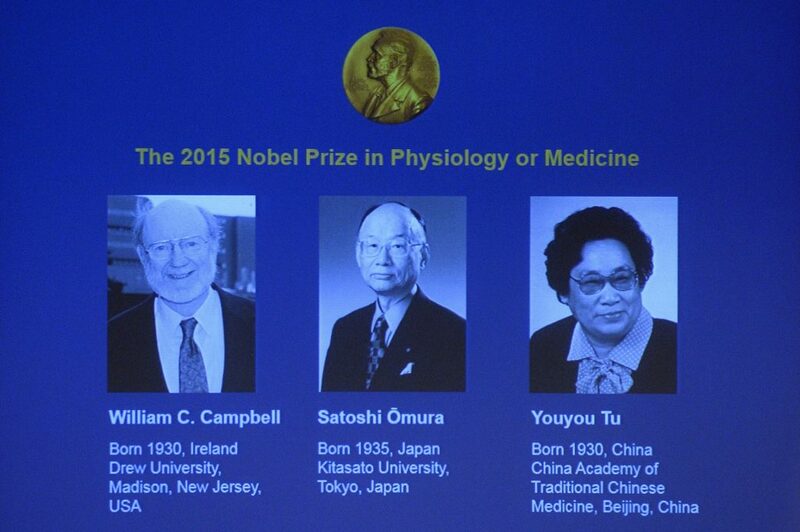 The winners of the Nobel Medicine prize 2015 (L-R) Irish-born William C Campbell, Satoshi Omura of Japan and China’s Youyou Tu. Campbell’s and Ōmura’s Ivermectin is currently seeing use in all parts of the world that are plagued from parasitic diseases, invaluable for improving the wellbeing of millions of people with River Blindness and Lymphatic Filariasis, primarily in the poorest regions of the world. It’s so effective, in fact, that the diseases are on the verge of eradication, a major feat of medical history. Artemisinin is used in all Malaria-ridden parts of the world, and with 200 million individuals who report infection with the disease each year, it’s seeing a lot of use. When used in combination therapy, it is estimated to reduce mortality from Malaria by more than 20% overall and by more than 30% in children. For Africa alone, this means that more than 100 000 lives are saved each year. “The discoveries of Avermectin and Artemisinin have revolutionized therapy for patients suffering from devastating parasitic diseases. Campbell, Ōmura and Tu have transformed the treatment of parasitic diseases. The global impact of their discoveries and the resulting benefit to mankind are immeasurable,” Karolinska Institutet’s award decision reads.